I am still sorting through the gazillion or so photos I took during my South America trip so they're coming, but not before we post another titallating Tuna Toast Ten! Thanks to Nicole Landau, who was gracious enough to do the TT10 a couple of weeks back, we had the chance to talk with Troy Smith, Sommelier at Montage in Laguna Beach. It seems appropriate to have a sommelier do this version since it falls on the 3rd anniversary of this blog, so a toast is in order...for Tuna Toast! Three years ago on 11/11, I posted my very first entry after discovering that I could post my nonsensical food ramblings and people would actually be interested. Whodathunkit?? Uh, ok, lame jokes aside, thanks to the two faithful readers who have stayed with me through both blogging and non-blogging spells and lots of awful photography (and there's lots more of THAT to come, folks!). So thank you! Now, onto more important things....another action-packed Tuna Toast Ten! 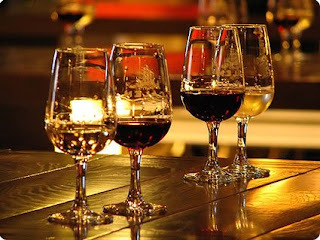 Website/blog/thing you'd like to pimp:http://www.newmedici.com/ A media and lifestyle holding company put together by sommelier Bonnie Graves and her partners, which in part provides Beverage program consulting and wine event coordination. 1. The best restaurant meal I've had recently is: Craft, Los Angeles. Served in an unfussy style without pretense, an attractive combination of refinement and rusticity. Each element of the meal was prepared flawlessly, but save your pennies, because nothing on the menu is inexpensive. 2. If money wasn't an issue, I would want to eat at: Alinea in Chicago, the El Bulli of the U.S.
3. The food I eat most often is: Pasta. Incredibly versatile, easy to make (even from scratch) and nearly universal. 4. No great meal is complete without: People to share it with. What's the point of having a great meal all by yourself? 7. My go-to dish I'd cook for guests is: I make a conscious effort to cook something different each time I entertain, so I don't really have a go-to dish. 8. Man can't live on food alone, so my favorite libation is: I'm pretty much obliged to say "wine" since I am a sommelier, but it really depends on where I am, what I'm eating, and quite frankly, what's on hand. I guess when it really comes down to it, I'll drink almost anything with alcohol in it. 10. My favorite food-related website/blog is (no obligation to list TT, we're completely objective over here! ): Inasmuch as wine is a food: http://www.thewinedoctor.com/. The site has a tremendous amount of information, but the producer profiles are outstanding. Well-written and informative without being to geeky. All things being relative, of course. A great resource overall.